Number 10 tram, 16:10, originally uploaded by Brin d’Acier. Sometimes you get lucky and the people you start sketching are stuck standing in the same spot until the end of the line. 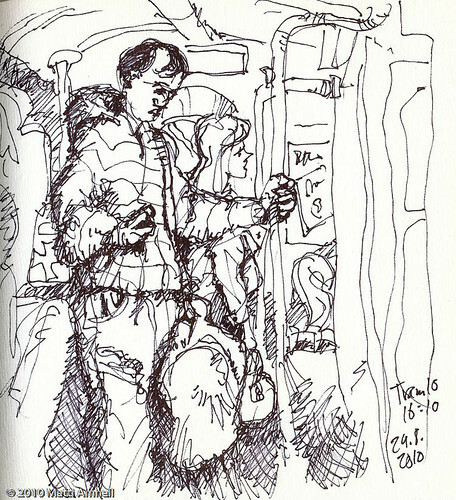 This entry was posted in Sketch of the day, Sketchbook and tagged helsinki, ink, passengers. Bookmark the permalink.